When you love coffee more in a cafe than tea, than you usually miss out checking on tea options on offer at the Coffee cafe.So while I stepped in “The Coffee Bean & Tea leaf ” at the mall this morning to have my regular cappuccino, I spotted this board right at the entry. 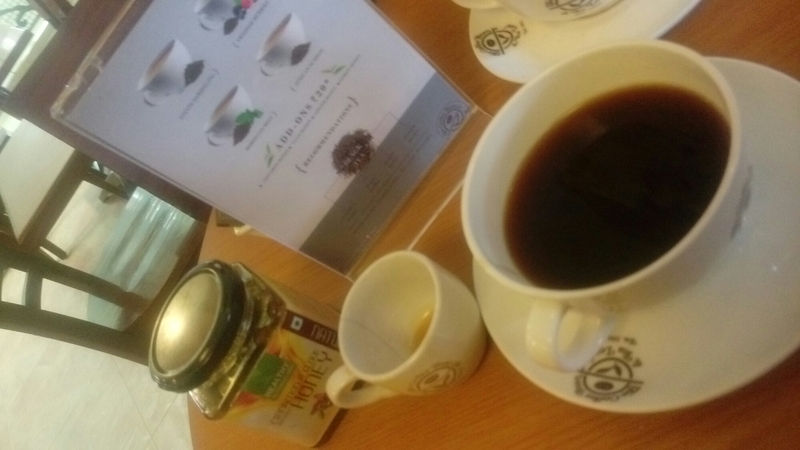 These days along with good coffee I am also exploring tea collection , Tea menu and serving style in these kind of cafes and I am always in for a surprise and in this case it was the price too of the handcrafted Tea collection on offer. Though I was alone still thought of opting for teaPot that has 2 cups and priced at Rs. 85/- inclusive of Taxes. Of course not for having 2 cup of tea early morning but more for having a look at the presentation. 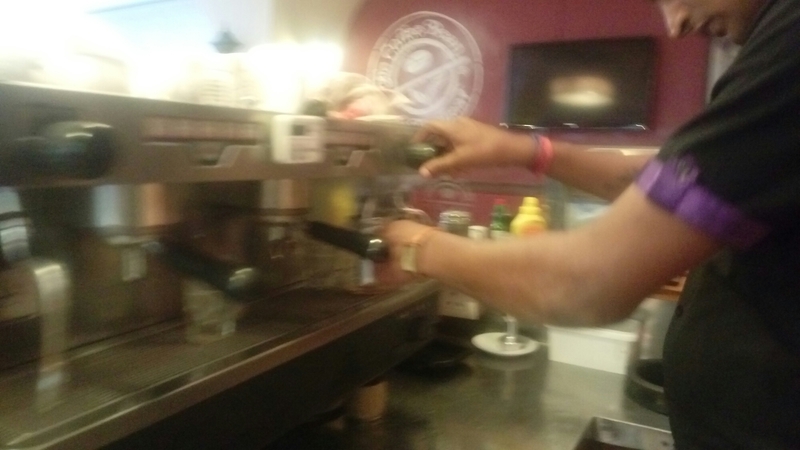 Since it was 11 am and the store has just opened so there wasn’t much rush here and therefore I asked the barista if I can record the process while he is preparing my tea, to which he agreed and I was delighted with the hygiene factor he was taking care of. Each and everything was sterilised with a flush of hot water and high pressure steam. He filled the filter of the kettle after cleaning up everything and poured hot water, left it to brew to a perfect taste while he prepared the milk. And both the options were just perfect to my taste. The black tea with honey and ginger infusion was light sweet and a strong tea flavor with a pinch of cinnamon. The milk was very thick that imparted a very good color to the tea almost similar to what we get in a homemade tea. And I had it with brown sugar. 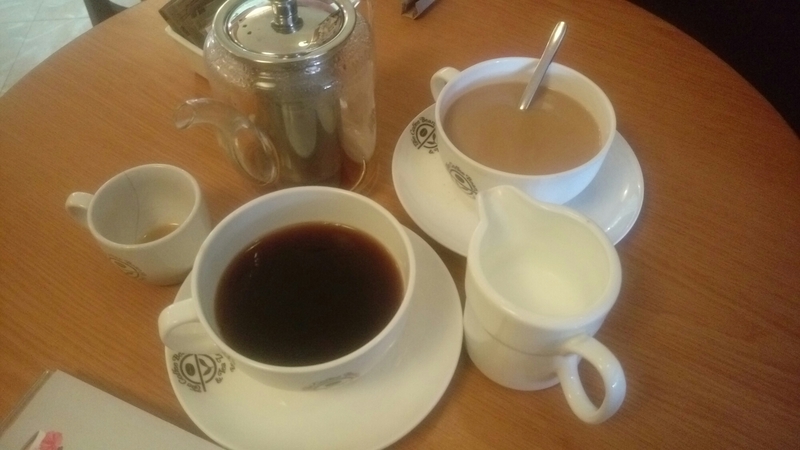 The quantity in the tea pot was sufficient for making 2 cups. And the tea remained to perfect temperature while I made it and had my tea. And I had 2 cup tea at the price less than a coffee at The Coffee bean & tea leaf. 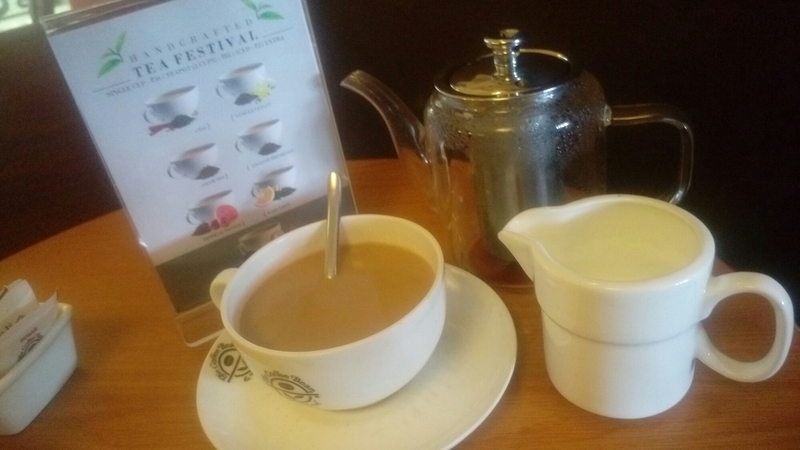 So if you are a tea lover then you simply need to go out and visit this outlet for your love for tea and drink it as per your choice black tea or with milk and don’t miss to take along ur friends as this is not going to cost you much either. Less than Rs. 50/- for a cup, Tea can’t get better than this. 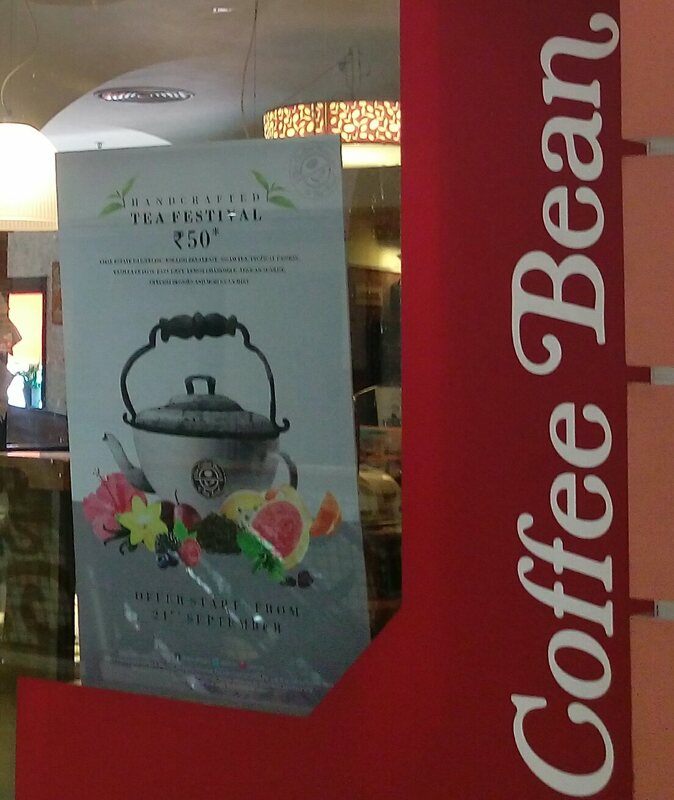 And this festival is around till December so winters are definitely going to be fun at The Coffee Bean & Leaf tea. 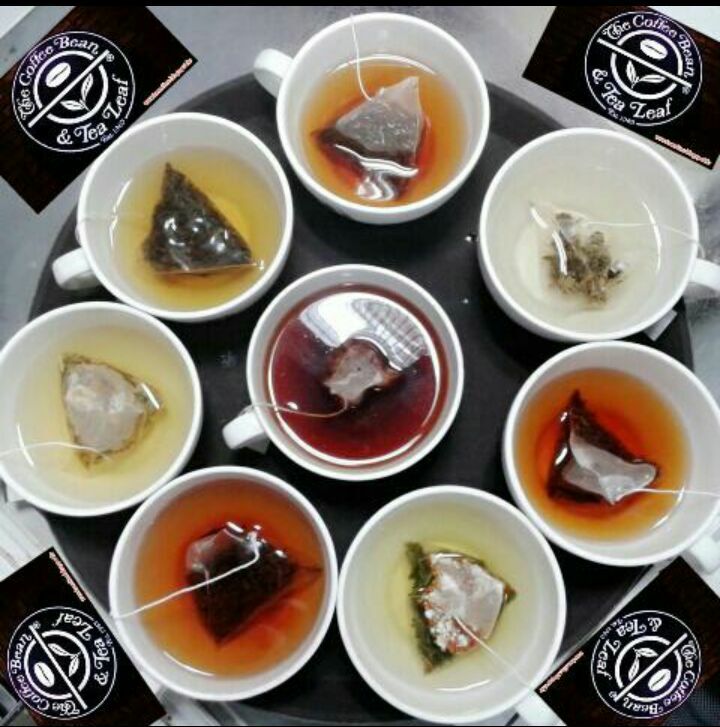 The spread of tea options are really good… and since it’s till dec all the more reasons to check this out. Thanks Arti, We are offering special discounts to women on every Wednesdays “The QUEEN SPECIAL” Buy any Desert and get a Beverage free. Only at Pacific Mall. The offer is on display on all LEDs, Standee outside store and announcements are made by mall management. Condition: No male partner must accompany, This offer is strictly for women single or group.